The survival rates for breast cancer is many times more today than it was a few decades ago. 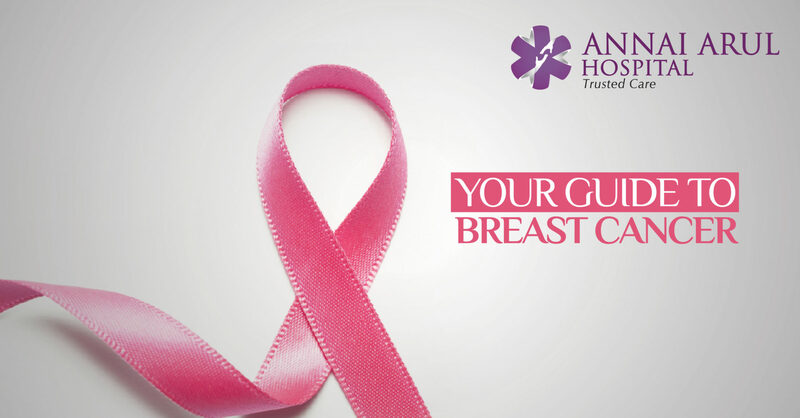 Greater awareness, early detection, advances in treatment are some of the reasons for containing breast cancer. Today there are more reasons to be hopeful about recovery for patients with breast cancer. The number of patient diagnosed every year to have breast cancer in going up year after year. So, it becomes important that you identity the disease earlier. So that you can be complete recovery with the help of modern treatment. There may not be very apparent symptoms of breast cancer, but you may feel that there is something for the doctor to check-up. It could be any of the following. Chronic breast pain can also be a symptom but it is not a common one. Like any other cancer, it helps to detect breast cancer in the early stages and treat it. Mammograms, an X-ray of the breast, can detect tumours before they get large enough to feel. Women with a average risk level ages 45-54 should get a yearly mammogram. Those beyond 55 years may get one done every two years. Ultrasound and MRI are also used to detect breast cancer, which gives a clearer understanding of the inside of the breast. A breast ultrasound can help detect cysts, which are fluid filled sacs that do not cause cancer. For those with higher risk of breast cancer an MRI with mammogram is ideal to detect it. HOW TO DO A SELF EXAM? Doctors usually suggest a self exam for women. But self exams play a very small role in detecting cancer as such. Today, it is more about knowing your own breasts and understanding any changes, rather than just checking them on a regular basis. You can learn the self-exam technique from your doctor. The sure way to know whether a breast lump is cancer is through biopsy. This means a sample of the lump is removed so it can be tested in the lab. This is done using a small needle, but sometimes surgery is performed to remove the entire lump before testing it. The test results will show whether it is cancer and the type of cancer. If breast cancer is diagnosed, the next step is to understand how big the tumour is and how much of the body it has affected. This process is called staging. The doctor uses a scale of 0-IV to describe the cancer stage. From this it is understood whether the cancer is localised in the breast or it has spread of other parts of the body including the lymph nodes and the lungs. Breast cancer surgery varies according to the stage and the area from where the lump is removed. It can be just taking out the area around the lump and called lumpectomy or breast conserving surgery. If it is required to remove the entire breast then it is called the mastectomy. After surgery the doctor may suggest radiation therapy to contain the cancer or chemotherapy which is given during the IV stage to shrink the lump or after the surgery to prevent cancer cells from growing back.